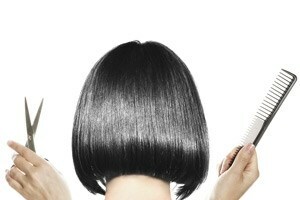 AAA Smoothing Straightening System is a treatment that restores the amount of keratin lost but amazingly creates more. Guaranteed Formaldeyde-Free! AAA harness the full complex of Amino Acids to build the interior and exterior keratin by nourishing the keratin, and replacing the various lost acids. It creates straight, shine, and contols unwanted frizz, making hair more manageable. The process helps tame unwanted curl. Unlike the Brazilian Keratin treatments, there is no coating of the outer layer and the hair does not feel hard. AAA only contains organic Amino Acids with none of the dangerous chemicals found in other keratin treatments. Treatment can take up to 3 hours. Depending on hair length and texture. Klix patent system dramatically reduces application time, allowing the stylist to apply a full head of extensions in 2 hours or less. Klix application includes no heat, no glue, no tape, nor removal chemicals and leaves behind no breakage. Klix is the only removable and reusable permanent hair extensions on the professional market. Touch-ups are recommended every 4-6 weeks, and completed in 60 mintues or less. The removal is safe, easy, and painless, leaves hair in its original pre-klix condition. Each strand is individually hand threaded on to a skin-like undetectable weft to blend for a seamless application. You can get up-to 3 colors in one package. Pricing between $300 and $700. Touch-ups depending on condition $80 and up.